Coming To A Cruise Ship Near You? When I was crew on Holland America we had to pop one of these open in the pool and practice crawling in. 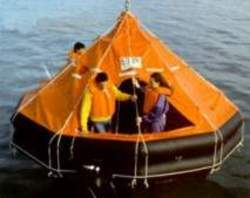 At the time I, and the hotel manager, had to struggle to climb in, so a couple of the crew seamen on board just grabbed our life jackets and wisked us in. Sitting in the raft, in the pool, with my fellow crew members I remember thinking to myself, “I think I’d much better be in one of these things, floating around in the ocean with a bunch of ship’s crew than in a traditional lifeboat filled with 150 guests who would likely be puking more and complaining that there were no proper rest room facilities on board. So Royal Caribbean now has bumper cars and this crazy thing that you pay some $300 to ride up in and look at the ship and ocean … my Royal Caribbean stock is going through the roof, so good on whatever floats your boat. Besides … just wait … Richard (not me, THE other Richard) is coming! 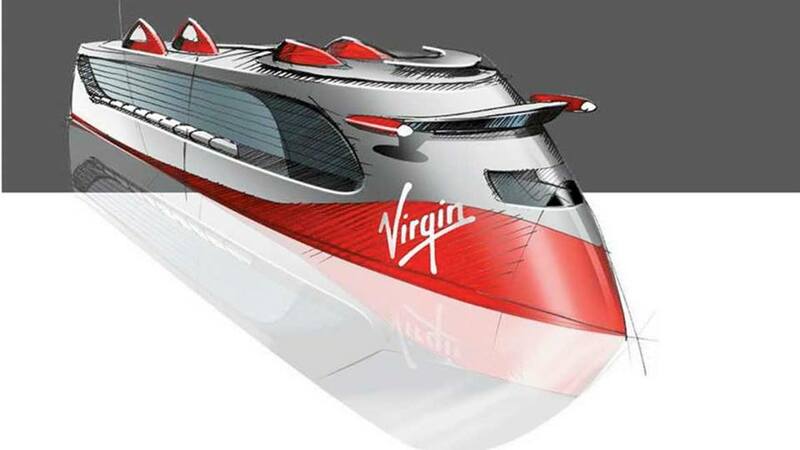 Richard Branson’s Virgin Cruise line is designed to make a splash and be something different! So just you wait! Cruise lines having the mind-set of processionary caterpillars will all dutifully fall in line and start building outrageously designed vessels. Poor me. I still want to explore the world on a vessel that’s not the size of a small city and that still rocks and creeks at night! But cruise lines by nature can’t resist copycat behavior. There was a time when the “beards” who ran the cruise lines were all white males, now if you want to be a member of the “in” circle of cruise lines your CEO MUST be either a woman or a person of color. Not that these guys and gals aren’t skilled business folks and great leaders, but how does an industry rock from one extreme to another? Maybe it’s the rough seas of the cruise biz. This entry was posted in Uncategorized and tagged cruising, life boats, Richard Branson, Royal Caribbean Cruisies, ship evacuation, Virgin Cruises, world's scariest rides by Richard Detrich. Bookmark the permalink.